Today is the day, the day I watch my son’s dream come true, he becomes a United States Marine. Today is the end of months of stress, sleepless nights, waiting for letters, and driving my mail carrier crazy. Today is the culmination of months of hard work, stress, and many accomplishments by my son. 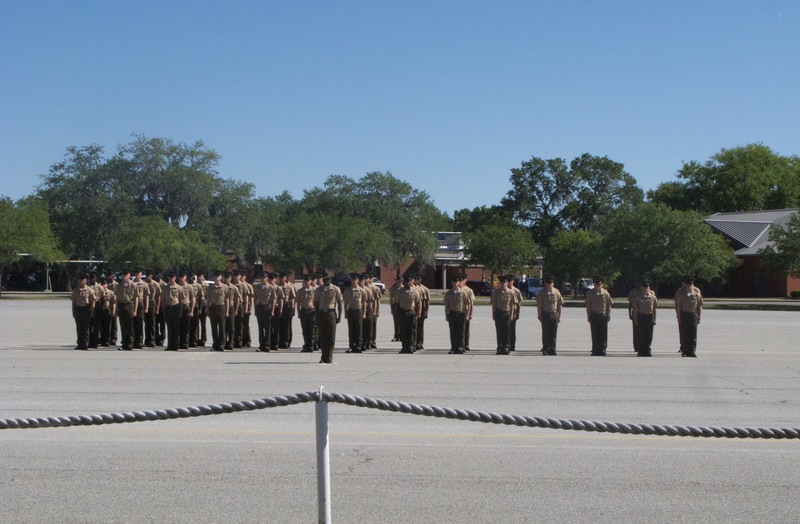 We start graduation day by arriving at MCRD Parris Island all dressed in our son’s platoon colors, RED. My son is in 1st Platoon 1032 Delta Company, their platoon color is red. We arrive early, just after 8:00 in the morning. 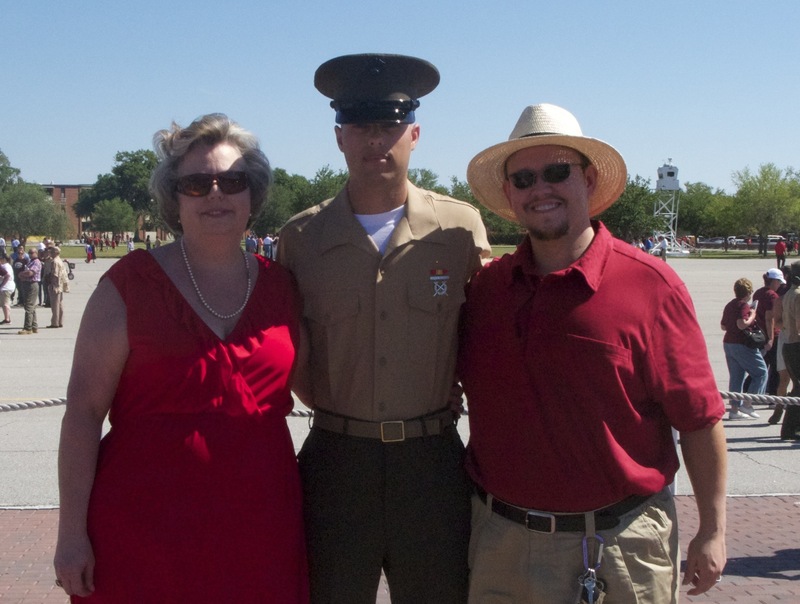 The first time we would see our Marine would be after the graduation ceremony is over. There is a Morning Colors Ceremony at the flag pole on the island at 7:45 a.m. on graduation day if you decide to attend that. Graduation begins promptly at 8:50 a.m. So, we make our way to the parade stands, and we realized that my son’s father and his family were here as well. This was a surprise as we had no idea he was coming to see our son graduate. As we would find out later, neither did my son, what a great graduation surprise for my son. The graduation ceremony was impressive. The platoons marched in unison across the parade deck and presented themselves to the crowd. There were great photo ops as the platoons did their marching rounds close to the stands, so that the families could get a good glimpse of their Marines. After a long wait my son is finally a full-fledged Marine! Oh happy day! We are finally a family with two Marines! We could not be more proud of everything our son has accomplished over the last 13 weeks. He has finally made his dream come true. He is now and forevermore, a United States Marine! 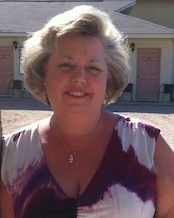 Parris Island photo compliment of a fellow Marine Mom. This entry was posted in General, Military and tagged basic, basic training, enlist, graduation, Marines, military, Parris Island, recruiter, United States Marine Corps.